It’s time to take the plunge and get new windows for your home. A window replacement project is an important decision with great long-term benefits including the improvement of your home’s energy efficiency and value. What Features Matter Most to You? What do you want from your window? Are you looking for windows that open to allow better airflow, filter natural light or has better security? It is important to think about what features matter the most for you and fits the intended space where a window would be installed. What Style Window Matches My Home? Windows help define the design of your house whether it is traditional or modern style. Are you looking for a double hung or single hung window? What looks most authentic or most attractive for your architecture? You can customize nearly any window to suit your needs. Fiberglass windows are known for their strength, durability, and increased return on investment. This top tier window combines form, function, and efficiency at a fair price. Enjoy the warmth of a beautiful, solid wood interior window with the strength of the fiberglass exterior, all at an installation price that is achievable. Wood is one of those materials that can fit any design. Wood gives you more design options – including interior and exterior colors, shapes, and sizes. Wood offers beauty, warmth, and design flexibility for any sort of project. 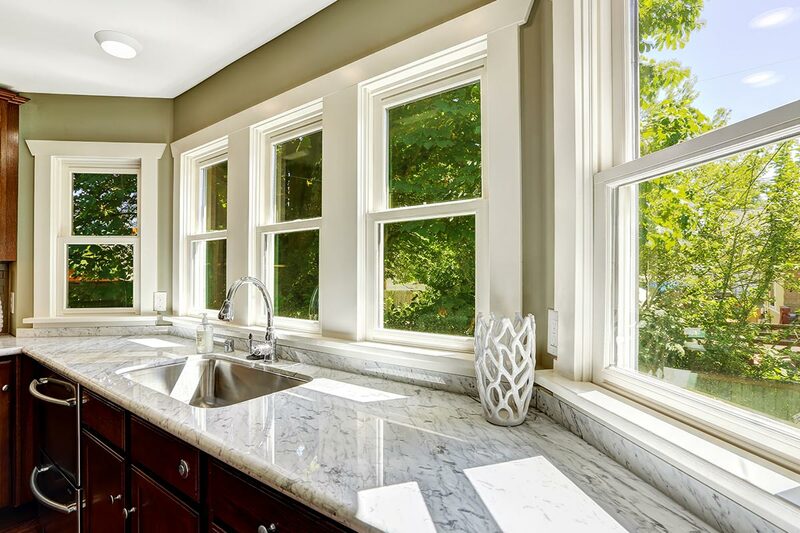 Vinyl offers classic and sturdy windows to make any home beautiful, inside and out. Vinyl is an excellent, low-maintenance solution that ensures year-round comfort and protection while reducing annual energy costs. Never worry about painting, staining or refinishing again! The simple answer is BCI Exteriors. Why? We are a fully insured and bonded company with up-to-date industry certifications and licenses. Accountability is very important to us and we are committed to our customers. You deserve quality windows with top notch materials and warranties.